the System – Disorderly Conduct. Let’s Pretend The Truth Is Important (For Just A Minute, Anyway). Kids who may be victims of abuse are put through something called a “victim sensitive interview.” Since children, in theory, don’t necessarily want to talk about being abused the entire interview process is a staged affair with few onlookers (that the child knows about, anyway) in a comfortable setting. These interviews are (or should be) conducted by investigators with lots of training as conducting them wrong runs the potential double-hazard of either not getting enough information from the child, or getting suggested (ie. unreliable) information from the child. 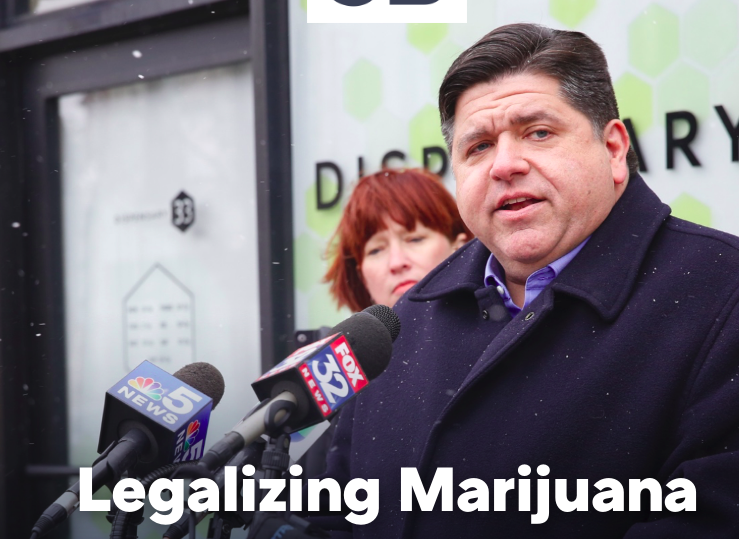 We spend millions of dollars each year in an attempt to get objectively genuine information from children who may not know how or may not want to discuss what happened.We want the truth from those kids and we want it in a way that it can’t be questioned. There is no shortage of studies explaining both best techniques to produce the most reliable information as well as the techniques that produce garbage information. There are experts who have dedicated their careers to the study and even set up labs to test the suggestibility of interviewed subjects. There’s a lot of time, money, and effort spent ensuring the truth comes out- after all, if the interviewer screws it up the consequence may be failing the most frail and vulnerable of people. Since potential defendants, in theory, don’t necessarily want to talk about being abusers the entire interrogation is a staged affair. It typically takes place in a spartan room devoid of comfort which may have a couple of investigators and who knows how many more watching over a video monitor. 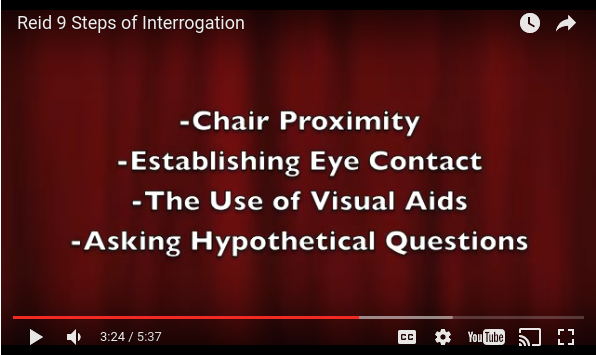 These interviews are conducted by a trained investigator using a psychologically suggestive technique called the Reid Technique. Like the victim sensitive interview techniques, the Reid method has been studied and analyzed for years yielding no shortage of people who’ve acquiesced to the psychological games and confessed to crimes (even murder) that they factually did not commit. While it can be reliable it also can be extremely unreliable- with the difference often not being in the training of the interrogator, but rather the interrogator’s preconceived belief of what the defendant should be saying. If the risk of a poor child sensitive interview technique is an abuser going free, decades of exoneration have shown us that the risk of poor Reid Technique is caging up people that the police have already determined are guilty even when they aren’t. Notwithstanding the number of both practical (ie. Numbers of “confessed” criminals being declared actually innocent in post-trial proceedings) and scholarly negative review of interrogations done with Reid, it’s still commonplace in interrogations throughout the country. You’d think that a system which so poorly distorts the truth might be jettisoned in favor of something more reliable but, sadly, the system is focused only on “proof beyond a reasonable doubt” (and not truth). Both victim sensitive interviews and interrogations use well-researched methods to try and convince people who’d remain quiet to tell their deepest secrets to strangers. The stark contrast in reliability between the two has less to do with the subject of the interaction than it does the beliefs and leading nature of person conducting the interview. This is troubling. What actually happened or what was actually in somebody’s mind should be more important than the beliefs of the interviewer, and it only makes sense that we should be constantly working on better and more objective ways to get at that information. Of course, we would only do that if the truth really matters. Which, with respect to the criminally accused, it likely never will. Author matthaidukPosted on February 15, 2017 Categories PoliceTags police, the SystemLeave a comment on Let’s Pretend The Truth Is Important (For Just A Minute, Anyway). 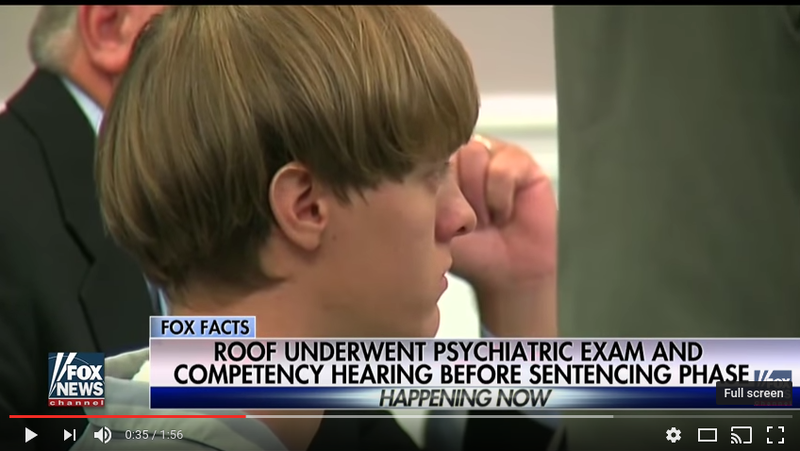 Before We Kill Dylann Roof Let’s At Least Pretend To Give Him A Fair Process. I don’t want Dylann Roof to die. I know that if anybody in the country right now deserves to die, it’s probably Dylann Roof. Author matthaidukPosted on January 8, 2017 January 8, 2017 Categories "News" and EntertainmentTags death penalty, dylann roof, the SystemLeave a comment on Before We Kill Dylann Roof Let’s At Least Pretend To Give Him A Fair Process. Saying Nice Things (about Dylann Roof). It might not have been the first day I started at the Public Defender’s office, but it certainly wasn’t long after. I knew nothing about the day-to-day operations of a criminal defense attorney (law schools don’t teach such things). I was about to be turned loose into the confusing, complicated, chaotic world of juvenile delinquency court and my new boss was trying to boil my role down to terms my inexperienced self could easily grasp. 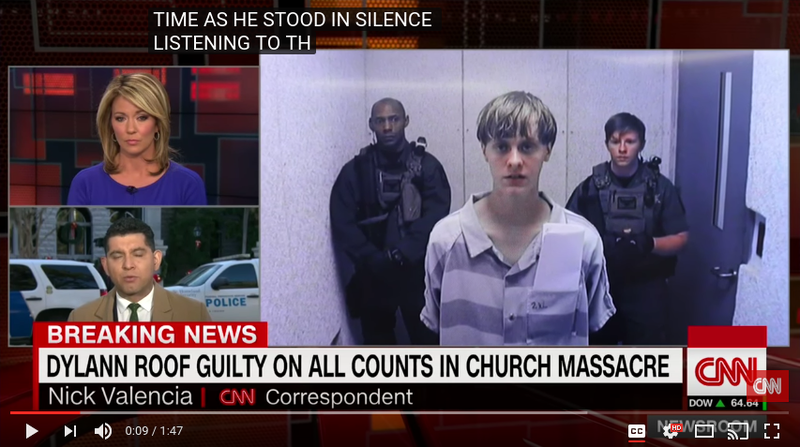 Author matthaidukPosted on December 15, 2016 December 15, 2016 Categories "News" and EntertainmentTags death penalty, dylann roof, the System1 Comment on Saying Nice Things (about Dylann Roof).